Get the haircare and styling products you need with our collection of Redken’s innovative product lines. Their products are guaranteed through salons only and are designed to address the full spectrum of hair concerns including dry, damaged hair, fine and thinning hair, hair breakage, curly and wavy hair and color treated hair. Their high-performing products also help produce your desired look, elevate hair volume and thickness, smooth hair and enhance curly and wavy hair. 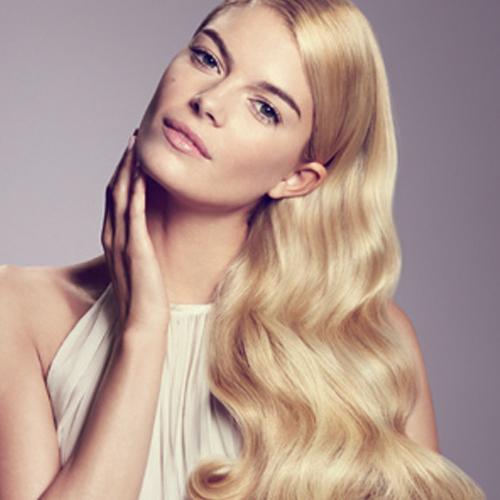 We also offer Pureology’s complete line of luxury products designed exclusively for color-treated hair. Their 100% vegan formulas combine the latest innovations in ingredient technology and are made with sustainably-sourced natural plant extracts and without animal products or by-products. Pureology’s dual benefit formulas not only provide a new standard in color care but also color protection. These formulas provide whatever else the hair needs — moisture, volume, strength, smoothness — for customized care without sacrifice. No matter what you’re looking to achieve, we have the hair care and the knowledge to match you with the perfect products to elevate your style.